Alderley Park, Cheshire, UK, Monday 8th of April 2019 – Close to 300 astronomers from 20 countries have come together in Cheshire, UK for the international SKA science conference New Science enabled by New Techniques in the SKA era, looking at the breadth of science the SKA will enable and the latest science from current SKA-related facilities around the world. 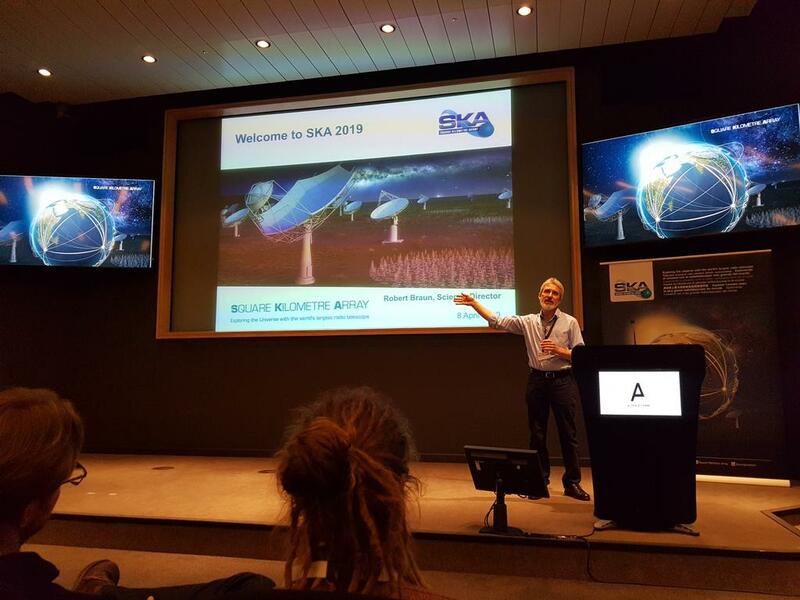 The meeting is organised by the SKA Organisation and hosted near the SKA Global Headquarters at Jodrell Bank. Three days are dedicated to talks covering recent results with the newly operational SKA precursor telescopes ASKAP and MeerKAT as well as MWA and HERA and SKA pathfinder facilities such as LOFAR. 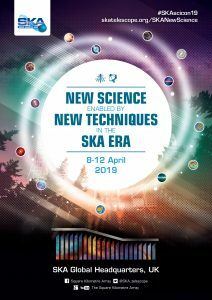 Two days are also dedicated to discussions around the future key science projects with the SKA telescopes to allow group to form collaborations and prepare themselves. The meeting is taking place at the same time as a major announcement due to be announced on Wednesday at 2pm BST from the Event Horizon Telescope, a global collaboration of facilities working to obtain the first image of a black hole. Several scientists attending the SKA science meeting have been involved with the EHT work and will be available to talk to interested members of the media to comment on the result once announced.